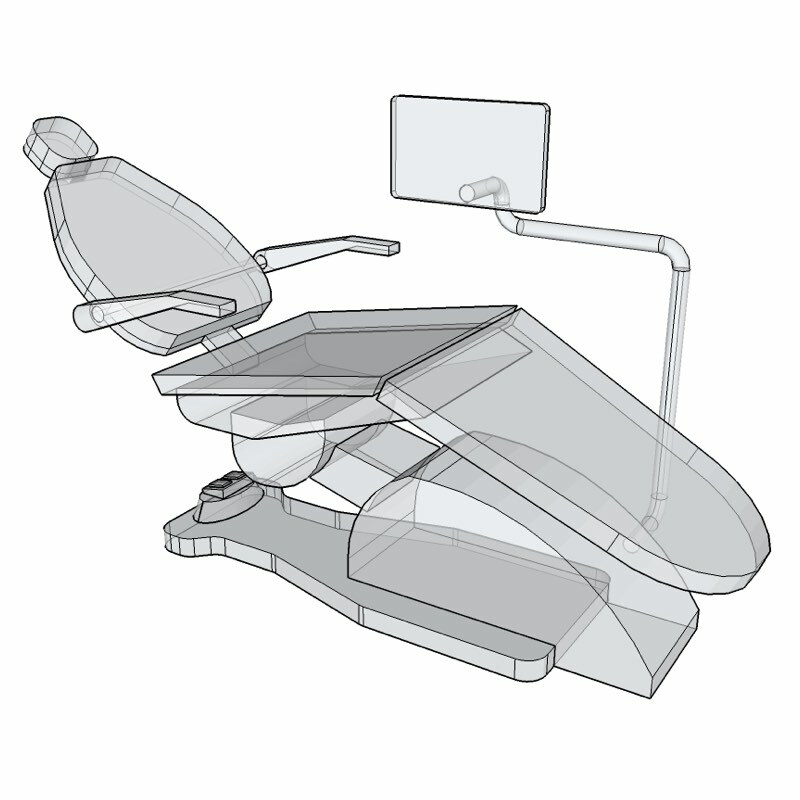 SEPS has about 2,100 pieces of medical equipment maintained in the online MILSTD 1691 database. 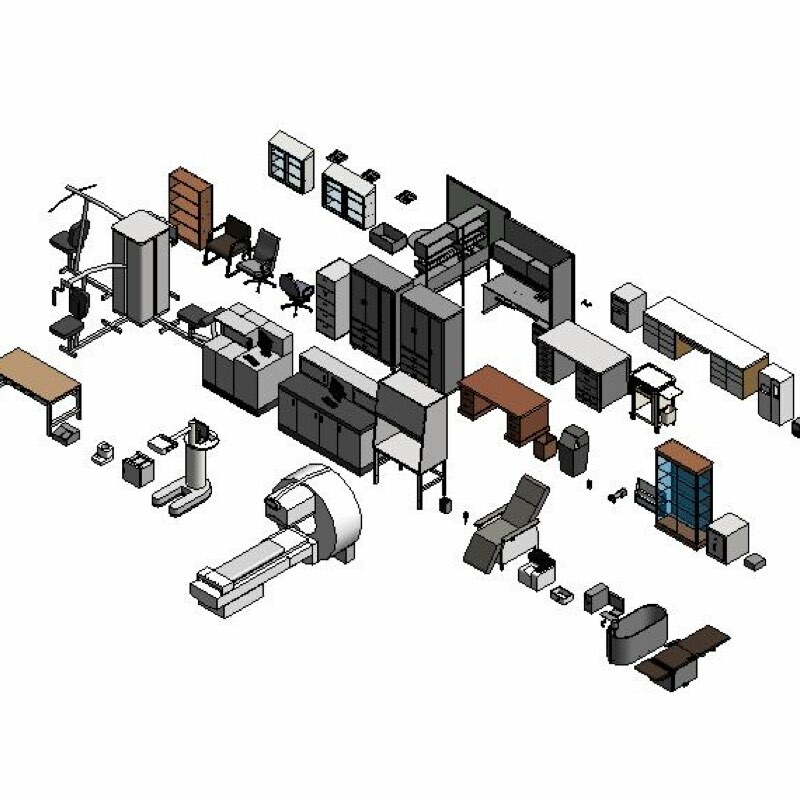 These 2,100 pieces of medical equipment are available as BIM and about 900 of them are available as BIM with a generic geometry. Generic geometry depicts the medical equipment and can be used for planning and design . Objects aligned with the MILSTD 1691 Medical Equipment database are available in multiple formats. 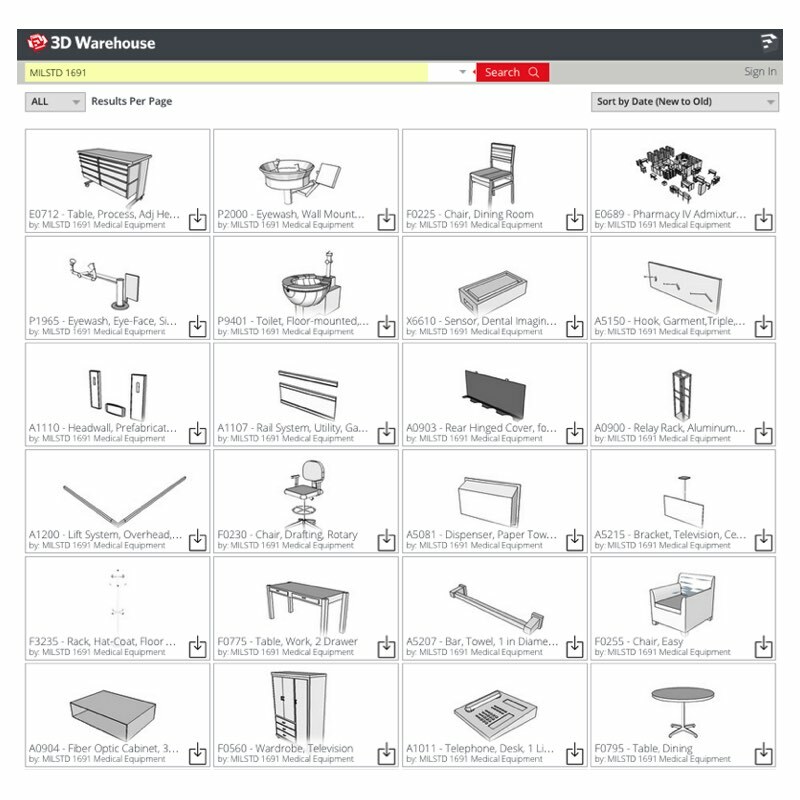 These objects are used to populate the BIM Space Templates. They are also used to automatically create BIM Templates and projects from SEPS BIM Excel Exports and through the BIM Space & Equipment aggregator tools. The MILSTD 1691 Database is hosted on MAX.gov and provides real time access and authoritative source data for over 2,100 piece of medical equipment used by SEPS. 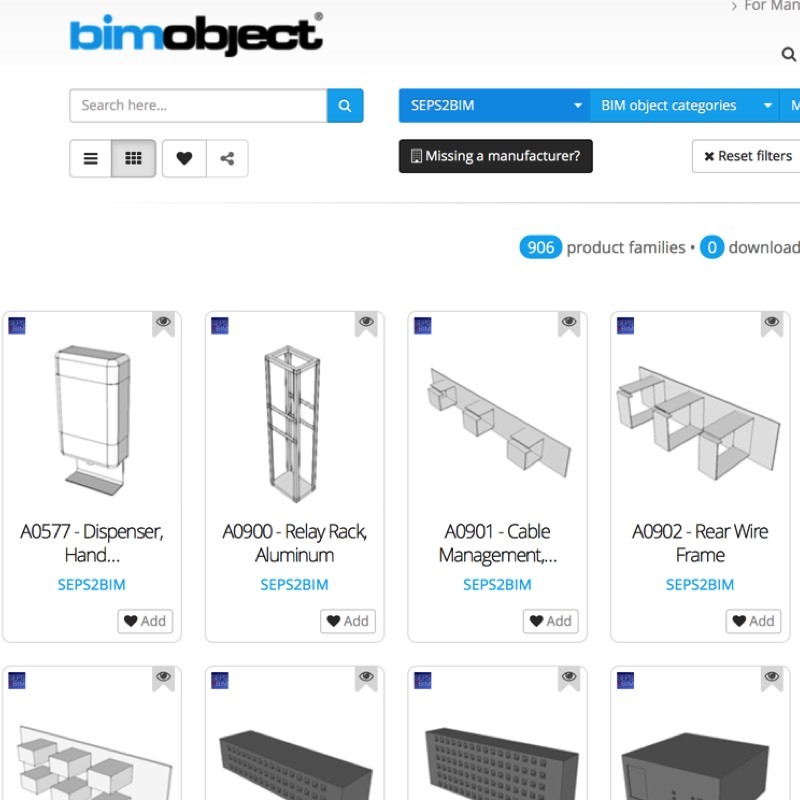 The database is used as the source of information to drive the creation of BIM Objects and the automatic generation of BIM LOD 150 Objects. 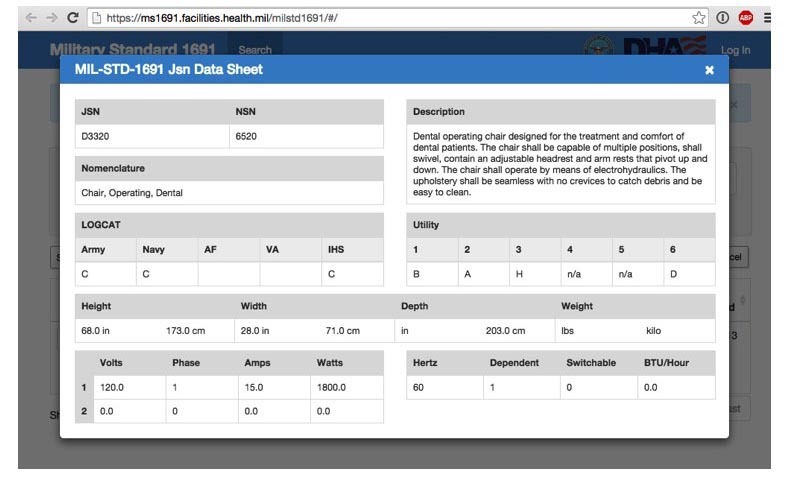 The medical equipment data in MILSTD 1691 is intended to convey “generic” non manufacturer specific information and includes data such as the bounding box size: height, width, depth, and other information. The 1691 Database is also available as a public webserivce. 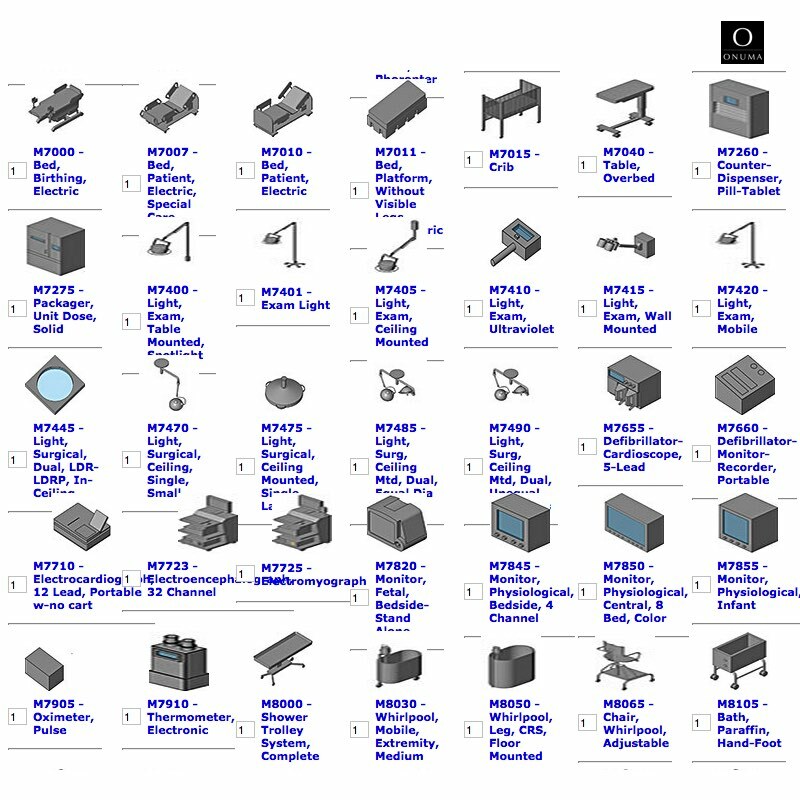 Objects used in Revit. Originally created by US Army Corps of Engineers, extended by VA SEPS to BIM Project, and from VA Department update projects. Total of ~900 objects as of May 4, 15.